Coca-Cola is courting controversy again after a new report found that the company pays fitness and nutrition experts to recommend drinking its soda as a healthy snack. Several nutritionists and fitness experts suggested that sipping on a mini can of Coke could be part of a healthy diet during American Heart Month in February, but the Associated Press reported Monday that Coca-Cola is working with health experts in an attempt to promote its sugary beverage – one that’s otherwise being criticized for contributing to America’s obesity problem. The company would not reveal how much it paid those who plugged its product, but it dismissed the behavior as something all major brands do. Some, like Kellogg’s, put money behind studies that highlight the healthy nature of their products, while others like PepsiCo also pay dietitians to recommend Frito-Lay and Tostito chips. Specifically, the series of recommendations currently placed under the microscope originated in February, when at least four articles revolving around the issue of heart health suggested drinking mini cans of Coke. According to the AP, one referred to the soda as a “refreshing beverage option.”Others plugged the smaller cans as a way to stop individuals from consuming large portions that also retains the drink as a treat. The articles generally listed the authors as health experts who also work as “consultants” with various food and beverage companies, including Coca-Cola. While the company stated that the articles featured accurate disclosures, the Poynter Institute’s Kelly McBride told AP that simply referring to an author as a consultant isn’t the same as revealing the writer was paid for the post. With soda companies looking to convince Americans that their beverages don’t need to be tossed out the window when living a healthy lifestyle, many nutritionists have their doubts. All of the drink’s calories come from high fructose corn syrup, and its high sugar content has some questioning whether even consuming it as a snack is advisable. The authors contacted by AP stood by their recommendations. 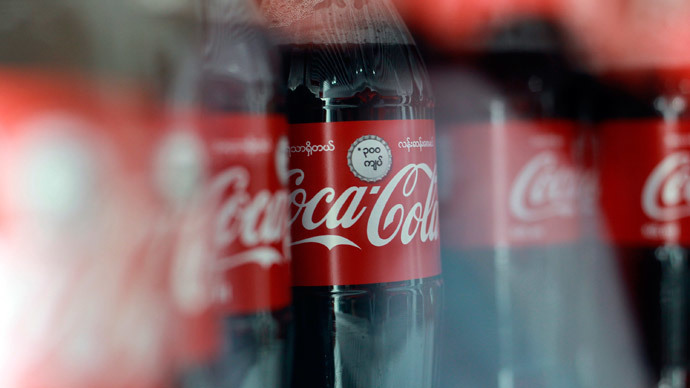 Despite not drinking Coke herself, dietitian Robyn Flipse said she would have made the suggestion regardless of whether or not Coca-Cola paid her to do so, because the mini cans allow people to enjoy a drink without having too much. She also maintained that making the recommendation was her idea in the first place. Sylvia Melendez-Klinger, another dietitian who wrote a similar story, said the thoughts expressed in her article were her own, but added that she couldn’t remember if she was paid by Coke for the story. RT has reached out to the authors of the Nutrition Planner and Examiner.com articles for comment, and will update this story accordingly.